I am looking at Real estate but I am not interested in direct ownership. 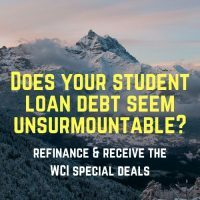 I saw the WCI post on CityVest. My concern is fees. MogulREIT II is private and will not track the market. Anyone have an opinion or experience with either? I like the idea of being diversified even in real estate by using a fund similar to these. I am leaning toward CityVest as my first exposure. Thoughts? I would veer away from MogulREIT. It’s fine, but the upside is very limited. If you want real estate exposure, Pathfinder has a very good reputation. I’ve done some due diligence on them, but have never invested there (no particular reason, no skeletons came up in my research). 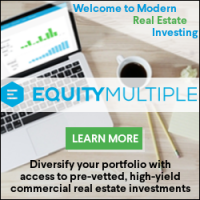 There are many other solid private equity real estate sponsors that have a long track record as well. I would do some more research and make this a less binary decision. You may still end up deciding on using Pathfinder, but look at all of your options. These deals require more time than clicking on VTSAX at the start, but are very passive after your investment has been made. Educate yourself further before deciding. These are very different ways to invest, the only similarity is after the initial investment they are very passive. MogulREIT is more liquid and has a lower minimum. Neither of these are appropriate for a big chunk of your asset allocation as they are both relatively risky investments with some platform/sponsor/manager risk in addition to the risks of owning real estate. Thanks for the input. The $25000 is a small portfolio piece for me. I have read the WCI post and I am comfortable with the risk and the lack of liquidity. I have been in contact with Alan Donenfeld and he has answered some questions. This seems a good place to start with a passive real estate investment. 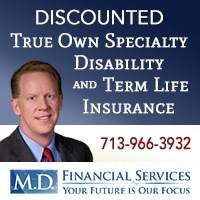 The fees are higher but sometimes the price for potential return and access at a lower minimum. I need to decide whether to invest in taxable account or dip into something new for more diversity. Is there I tax benefit in this type of fund investing? Maybe, it depends on the fund. Many pass off the depreciation to the investors but this is very dependent on the investment. I have some excellent paper losses to offset gains. I realize that I have a bit to go before being comfortable with this but it has definitely garnered my interest. Maybe I haven’t looked hard enough but does anyone know what type of tax forms would be issued with this kind of investment? I have had K-1s issued in the past with other investments and I dreaded it. Thank you. I know they mentioned they will issue K1 around March this year. 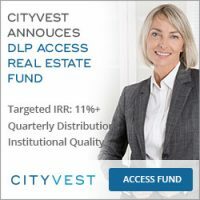 Anybody thinking about the CityVest DLP fund? I put a little into their Pathfinder fund and it’s been crickets since then aside from an email on 15 Jan mentioning a Dashboard. I was hoping to have a experience with their platform before investing more with them. I also invested in pathfinder. I received an email on the receipt of my transfer and have heard and received nothing at all since then. 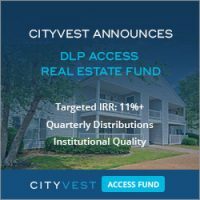 I am intrigued by the DLP fund also but nervous to have another chunk of money that right now seems just out there and I have no idea what is happening with it. Some do K1, some of the larger Funds (NNN or large REITs) do 1099. I was hoping for a welcome to CityVest letter with some expectations for the fund and communications. I did not receive an email about a platform on January 15th. I didn’t get a notification of receipt of funds (did have a cashed check)–between the two of us, perhaps we have one complete communication unit. K1s are expected…but there are the irritating K1s (coming in March) and the really irritating ones (coming April or later). Is it the underlying asset or CityVest that will be issuing them? I don’t do CityVest, so unsure what they use. I have a mix of K1s and 1099 depending on the investment.